We had a hard day of flying. 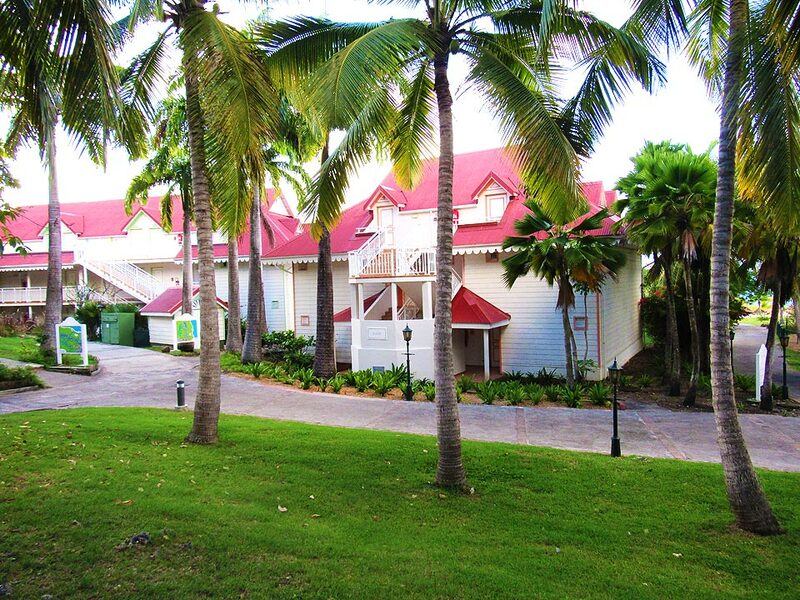 We arrived at the Pierre & Vacances Village Club Sainte Anne, Guadeloupe frustrated, tired and without our luggage. It is the first time we have encountered this level of frustration. We approached the front desk hoping that the check-in would be fast and easy so that we could have a hot bath and relax away the blues of the day. Everything was going smoothly until the check-in clerk told us that she is not seeing breakfast included in our package on her system. Including breakfast in our hotel booking is one of the things I like to do. I think it makes more sense because you don't have to get up and go look for food. And on the odd difficult day like this one, we could stay in bed a little longer knowing that breakfast is waiting for us. Anyway, there was a long pause as Nikks and I looked at each other. The air was thin I could see it in her eyes and she surely could feel further frustration in my movements. We breathed deep and became calm. I guess we were so tired that we just did not bother to get hyped up. The clerk had one look at us, realized we were not happy and conferred with her colleague, this after we produced a copy of our printed documents with the booking showing studio standard (bed and breakfast). She eventually came back to us and told us it was OK and the breakfast will be included. We were given our ID bands; to move around the village, our room keys and given directions to our apartment. Front entrance to Pierre & Vacances Village Club leadin to the reception area. 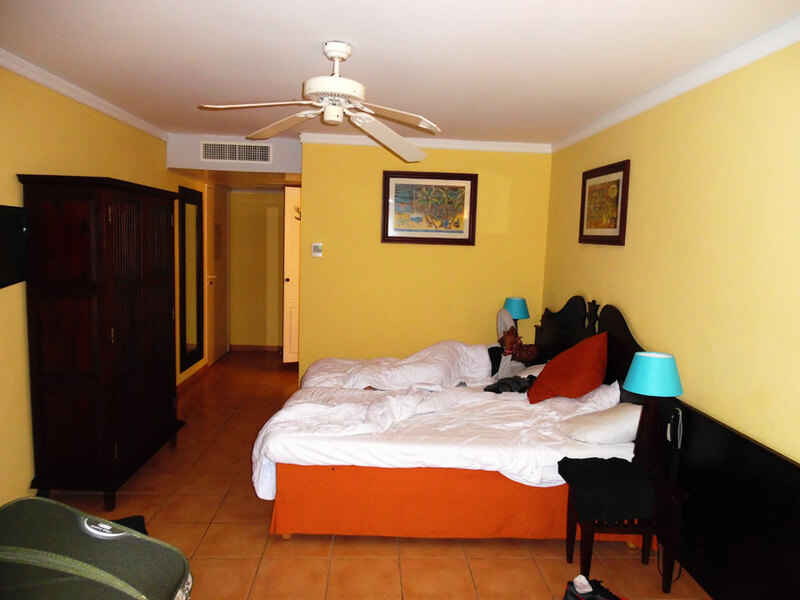 It was about nine pm in the afternoon so we just went to our room, got a shower and slept the night away. I am an early bird so I was up around 4:20 am and I decided to take a walk around the compound. The village is well lit and gave me an idea of what the facilities looked like. I could hear the gentle waves of the beach piercing the silence of the night. The beach was about one hundred and fifty meters from our room. I could see the beautiful illuminated pool; the coconut trees swaying with the gentle blowing breeze and it gave me a sense of calm and happiness. Only then I realized that it was a bit chilly and headed back to the warmth of my bed. Our apartment at the Pierre & Vacances Village Club was comfortable; it carried all the trimmings of a standard room. However, we had a kitchen, which was located on the terrace with access from the back of the room. It was a brilliant layout. The kitchen featured home appliance necessary to cook a full meal including stove with oven, microwave, tea and coffee maker as well as pots, pans, glasses and cutlery. There was also a dining table with chairs so you can have you meals while looking out towards the beach. 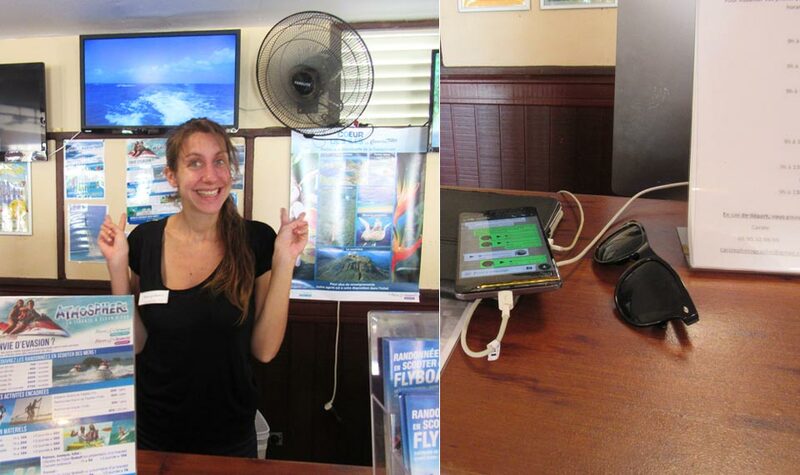 In addition there was free Wi-Fi, flat-screen TV and a desk. View from our veranda at Pierre & Vacances Village Club. Yep! This is what our bed looked like after a had a much needed night of sleep. Oh that is Nikks still in bed. Around seven am we were fully awake, refreshed and famished so we headed to the restaurant to get breakfast. It was a buffet style layout and the food while not extravagant was sufficient. 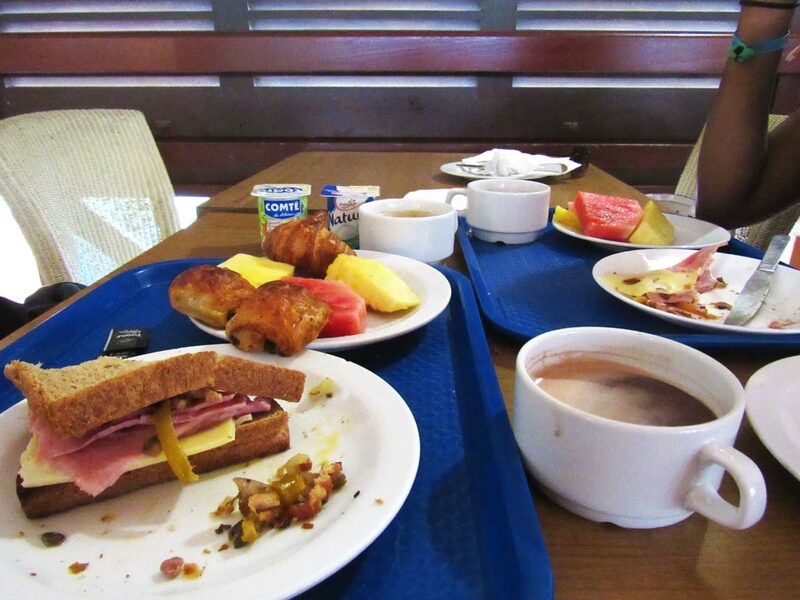 Items included the usual continental and international breakfast fare. There were also fruits and cereals. We were quite satisfied with the breakfast. We were also pleased with the selection of cappuccino, hot chocolate, fruit juices and tea. Having breakfast at L'Instant Creole. Trust me we annihilated that breakfast. After breakfast we took a tour of the village. The Pierre & Vacances Village Club was built in 2000 and was last renovated in 2012. The village is a large one with about 514 rooms, bars and three restaurants; L'Instant Creole, opened for breakfast and lunch providing Creole specialties, Le Mille Sabords, provides lunch and snacks including barbecue fish and meats and Le Balaou, which is open for lunch and dinner and provides an A la carte menu. It is also pet friendly. There is also an outdoor pool as I mentioned before, health spa, beach and a health club. We also noticed a couple of shops including a swimsuit boutique and a souvenir shop on the compound and a snack bar serving mouth-watering pizzas. There is also a water park featuring a paddling pool and a third pool almost hidden in the upper area of the village. There is also a car rental company and photographer, who became our savior. 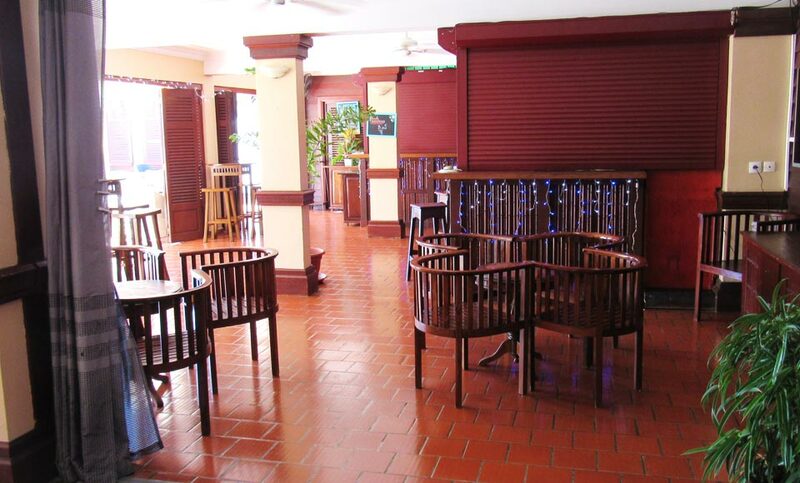 The bar at The Pierre and Vacances Village Club. We had a couple cocktails here. We found while the village is maintained it could probably use a little sprucing up. The drapes in our apartment seemed a little worn and the room had a musky smell when we first entered. We were only there for two days and for all of the first day we did not get Wi-Fi in our room. One of the biggest challenges we had however, was the access to electricity to charge our phones and other devices. Guadeloupe is a French territory so they use the European style sockets. Now while I admit we should have done some checking into this like we normally do, we were surprised that there was not even one adapter in the entire village. I mean, come on this is an international hotel. When I travelled to Europe, including to Paris a couple of years ago I did not carry any adapters, but I could always borrow one from the front desk or at least pay a small fee to get it. I must point out that one of the clerks did try to help us by allowing us to use their computer to access our emails. He tried, but it was to no avail because their computers are in French so we could not understand anything. However, Carole, one of the photographers in the village, saved us. Even though she spoke French, she did speak a little English and understood our dilemma. I saw they were using a Mac computer so I asked her if we could charge our Ipad and phones using the USB port of the computer. She agreed and that is how we were able to regain some form of communications. Merci beaucoup Carole! Carole (left) was our saviour. She helped us charge our devices. Ipad and phone finally getting some juice. All in all, our stay at Pierre & Vacances Village Club was a decent one. We had a couple of sore spots, but it's nothing that will prevent us from staying there again. Like I pointed out there are some things that they can improve. Mind you while it is not close to the airport and is a bit out of the way, you can use their paid shuttle service if you want to move around or better yet, you can rent a car from the rental company located on the compound. 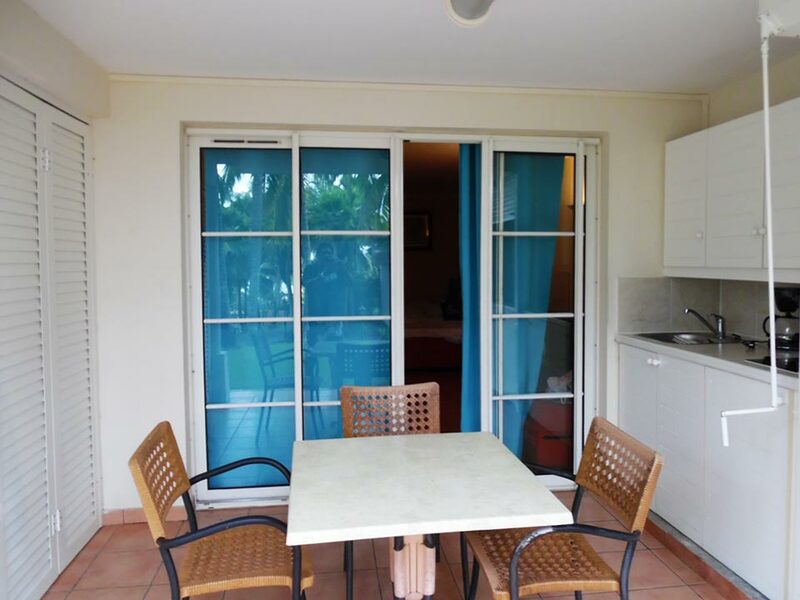 Have you ever stayed at the Pierre & Vacances Village Club in Guadeloupe. Did you have a good experience? We participate in the Amazon Services LLC Associates Program which allows us the opportunity to earn fees by linking to Amazon.com and affiliated sites. We are also affiliates of the Viator, Inc. program which also allows us to earn a fee via their affiliate links from Viator.com. We love Willemstad. We love Curacao and a beautiful beaches. We visit Caribbean, Latin American & European Destinations. View our travel photos, travel videos as we explore new cultures and places. Come travelwith2ofus. Two people who like to travel and ramble about what we've seen. Nikki is the adventurous one and Simon, the coward. Together we have great balance, are fun loving and easy going. Hey, we love good food, great places and meeting people. We are on the move most of the time but you can still catch up with us.